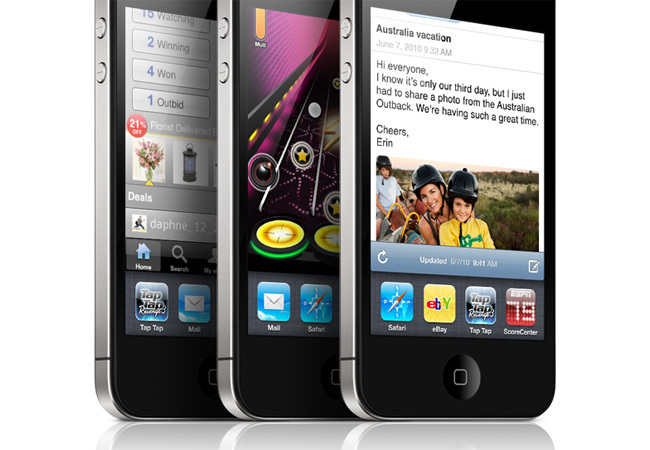 Steve Jobs introduced the iPhone 4 today, which he claims offers over 100 new features, though he would focus on only a handful for the keynote. 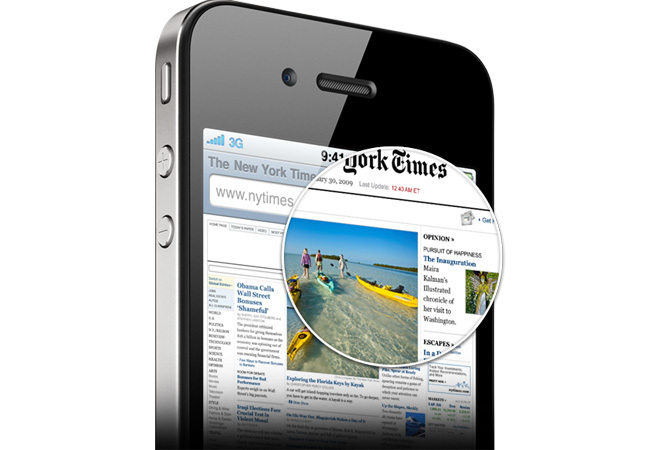 The iPhone 4 looks like the iPhone prototype obtained under questionable circumstances by Gizmodo: stainless steel casing, all-glass front, and a design Jobs describes as the thinnest smartphone on the planet: almost 25 percent thinner than the iPhone 3GS.. 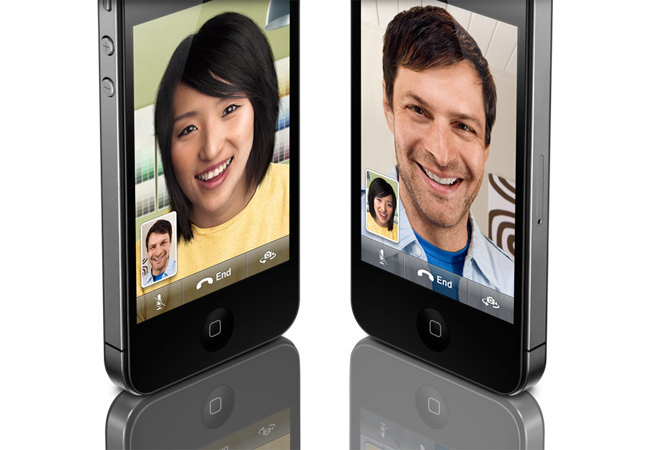 Unlike previous iPhones, the iPhone 4 will have volume controls on the side of the phone along with an accessible microSIM tray. 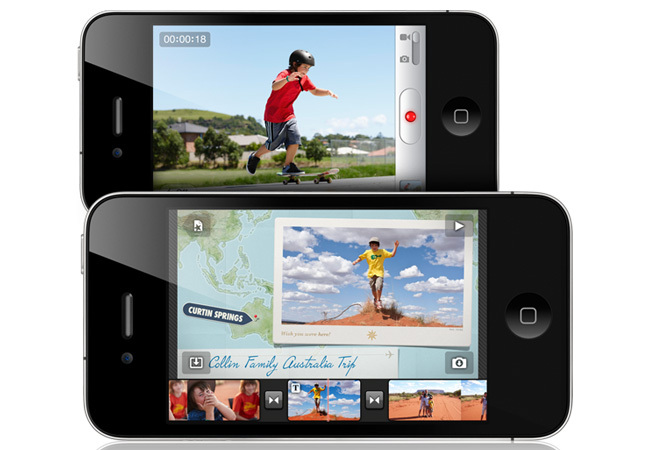 The iPhone 4 features a front-facing camera, and the back sports a microphone, 30pin connector for docking, and a speaker, while the top sports a second microphone for noise cancellation, sleep/wake button, and a headset input. Jobs went on to highlight the bands around the side of the iPhone 4 that caused much speculation in the wake of the leaked prototypes. Jobs identified them as part of the phone’s antenna system, saying the stainless steel band is also a primarily structural element of the device. The antenna supports all the iPhone 4’s wireless capability, from 3G to Wi-Fi to Bluetooth to GPS along with cellular communications. Since it won’t do to have an iPad running something called “iPhone OS,” Apple has decided to rename its mobile device operating system to simply “iOS 4,” encompassing all its mobile devices: the iPhone, the iPad, and the iPod touch. iOS 4 will have the features Apple outlined back in April, including a form of multitasking support (so applications like Pandora can stream music in the background while an iPhone user, say, surfs the Web in Safari), a unified Mail inbox that supports multiple services, home screen folders, a Game Center, and improved support for Microsoft Exchange and enterprise users. However, developers will probably be more intrigued by a boatload of new APIs and significantly deepened features. Developers at WWDC will be able to set hands on a release candidate today. Jobs also took a moment to highlight Apple’s new in-application advertising platform iAds: according to Jobs, Apple is developing iAds as a revenue channel for developers so they can earn money from applications in ways other than direct sales to users. As outlined last April, Apple is aiming for high amounts of interactivity and engagement with iAds, building on HTML5 technologies rather than the still-industry-standard Adobe Flash. Apple will host all the advertising and handle ad sales, so all applications developers have to do is specify where in the applications the ads should be placed, then collect 60 percent of the revenue from placements in their applications. Apple has only been selling iAds for about two months—they should go live Jule 1—and so far has many major brands on board, including Disney (Jobs is Disney’s biggest single shareholder, remember), Target, Best Buy, Geico, DirecTV, and other major brands. Unlike traditional banner ads that eject users from applications out into Web browsers, iAds run without exiting a user’s application, providing an interactive experience without causing people to leave apps, or lose work or messages: the goal is an engaging experience that users know is “safe” regardless of the app they’re using. Apple says the technology behind FaceTime will be come an industry standard, and will be supported by other devices and services.